Much of the value and pedigree of a watch manufacture is derived from how long the manufacture has been in existence. There has, however, over the last couple of decades, been a bucking of that trend as newer manufactures have entered the market place with fresh takes and technological accomplishments that rival those of any of the older houses. One such brand is Hautlence, and over the past 15-plus years the independent Swiss manufacture has regularly launched pieces that are unique both aesthetically and technologically. Hautlence’s ethos revolves around original concepts in reading time, and to that end the brand’s latest endeavor for Basel 2019, the HL Sphere, executes on all counts. Hautlence HL Sphere 01 shows the jump hours over the sphere on the left dial side, and the retrograde minutes on the right dial side. The Hautlence HL Sphere is the brand’s eighth caliber and attempts to reconnect to the roots of the brand’s earlier designs while continuing to push its innovation forward. Its tradition of telling time in a unique way originated with a series of satellite cubes indicating time via a jumping hour around a disc, and a trailing half hour chain. Now, the system evolves to feature a jumping hour that spins around a sphere on the left portion of the cushion-cornered rectangular open-worked dial. 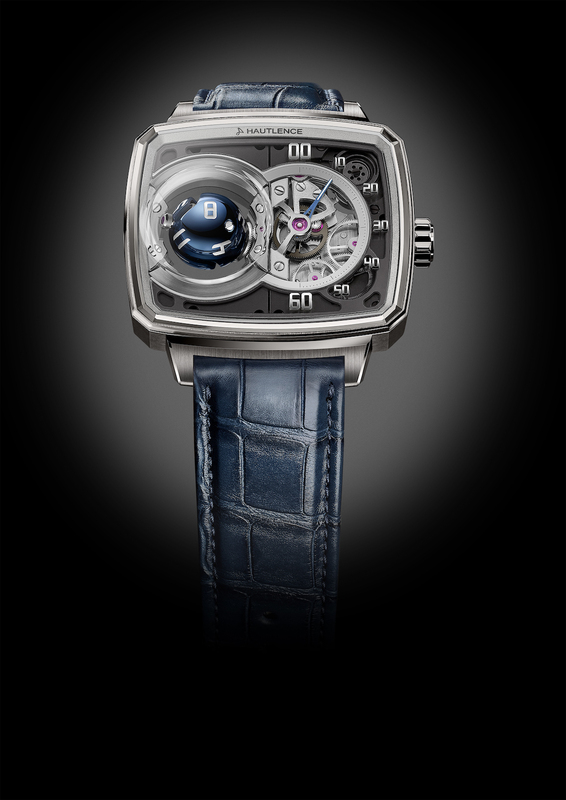 Powered by the manually wound HTL 501-1, a blue sapphire sphere is housed in the left hand side of the watch under a small dome. The sapphire sphere is numbered one through twelve, with the corresponding hour prominently displayed face up. The sphere rotates on three axes to display the corresponding hour. To govern the movement, four conical gears move around two crossed spindles inclined at an angle of 21 degrees. HTL 501-1 hand-wound calibre beats at the heart of the HL SPHERE model. On the right hand side of the watch is the retrograde minute display. The minutes of the hour count up to 60 and then snap back to zero at the turn of the hour. 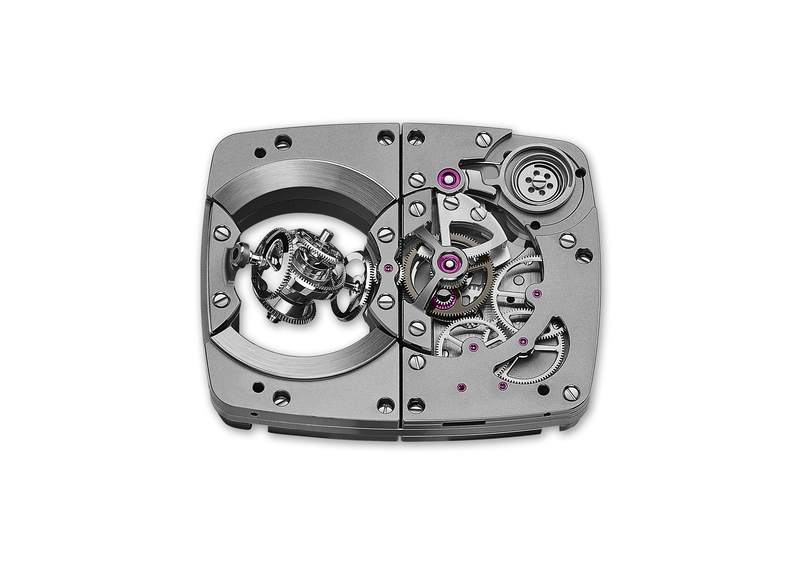 Viewable through the minute dial is the gear train which helps to regulate the speed of the retrograde so as not to damage the movement.The watch is simply beautiful and looks like nothing else on the market. Housed in an 18-karat white gold case, the television shape of the HL Sphere watch is a nod to the signature look of early Hautlence releases. Beginning with their first piece in 2005, the television-shaped case was the one the brand first brought to market and it helped bring Hautlence recognition around the world. The current iteration is larger in size and also has a larger dial opening to better view the internal movement of the piece. The watch is manually wound via the white gold notched crown and comes on a blue alligator leather strap to match the blue sphere that indicates the hours. The watch is created in a limited edition of just 28 pieces, each retailing for CHF 99,000. 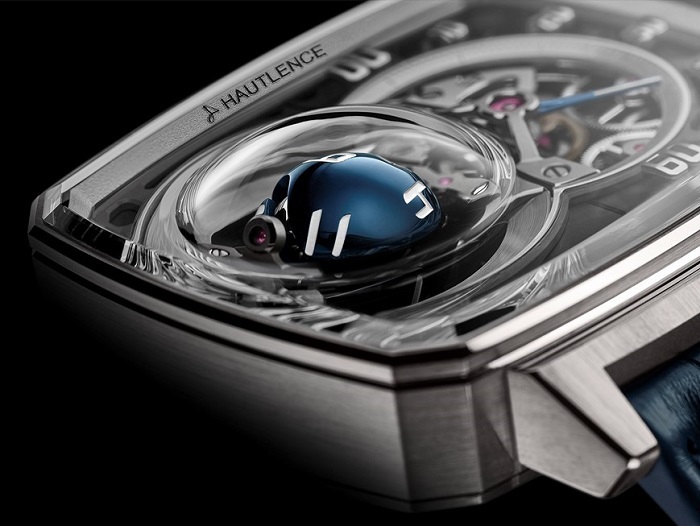 Hautlence HL Sphere 01 houses a new caliber. The HL Sphere is completely designed, developed and produced by Hautlence. The spherical hour piece is a total home run and the retrograde minute function is the icing on the cake. Usually watching hours pass by is a mundane activity however, with both the hour and minute components jumping on the hour combined with the skeletonized aesthetic, this a fun watch to watch. HTL 501-1 hand-wound mechanical movement. 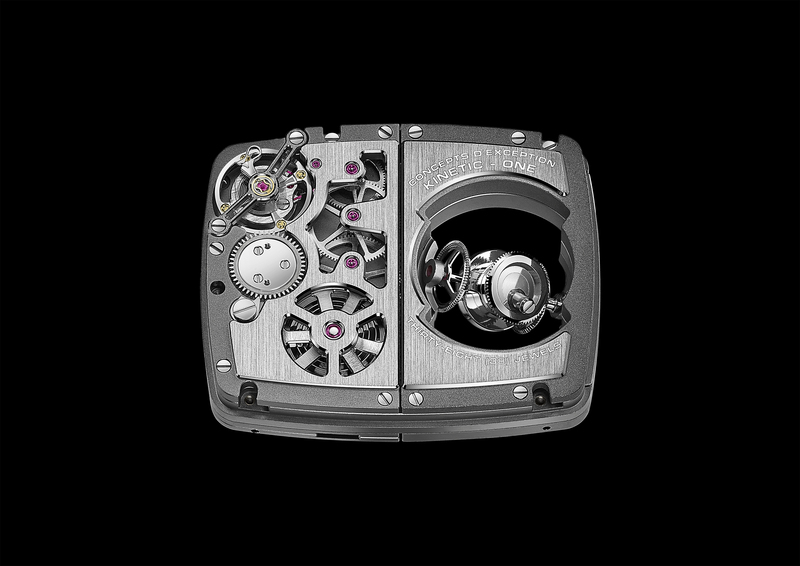 Dial Base dial: skeletonised and rhodium-plated with engraved minute track. Intermediate dial: Smoked metallic sapphire crystal and curved, diamond-polished rhodium-plated appliques. Hour sphere: Polished grade 5 titanium with blue PVD treatment, laser engraved numerals and white lacquer filling. Minute hands: Satin-finished grade 5 titanium with blue PVD treatment and white lacquer filling. Folding clasp: grade 5 titanium with satin-finished steel plate.